My youngest signed up for kindergarten on Friday. He was excited for weeks leading up to the day, went into the school and then panicked. My normally talkative and outgoing child turned mute. He did write his letters and play with blocks while I filled out the paper work, but refused to actually talk. Normally this wouldn't be a big deal, but since I home school him for pre-k I am always very self conscious. It doesn't help that when you walk in the door they ask you if they are in pre-k and I was the only mommy that said he was learning at home. Now I have a master's degree, in our state I am allowed to home school through high-school. However, everyone else sends their kid to pre-k. It hasn't held my kids back in school. My oldest went into kindergarten and was already a grade ahead in reading and is now two years ahead in math. I believe strongly in teaching at home and having school being a reinforcement of things already taught through workbooks and everyday life lessons. However, I still feel judged since everyone else makes different decisions. I have had to defend my decisions so many times to other women that have made different choices and feel the need to explain to me why their decisions were better. Luckily since he starts kindergarten next year I won't have to explain my home-school pre-k choices any longer which will be a nice change. I have been experimenting with dessert recipes using beans in the last couple of weeks. Last week I tried a new recipe for Black Bean Brownies from the Taste of Home website. This recipe has 9 ingredients. It takes 35 minutes of total time, 15 minutes of which is active and makes 12 servings. I followed the original recipe with only a few changes. I did not have chocolate chips in the house and I didn't want to run to the store so I made the recipe without the chocolate chips. It made the brownies less sweet, but my kids ate them happily with the reduced sugar. I found that my total cooking time was a little longer than the recipe, my total baking time was approximately 30 minutes. Without the chocolate chips added these black bean brownies are rich, but not overly sweet. My two boys prefer chocolate that isn't overly sweet, so they loved them. I have tried the recipe with the chocolate chips added and it's also good, just sweeter. Either way works depending on what you have in your cupboard. 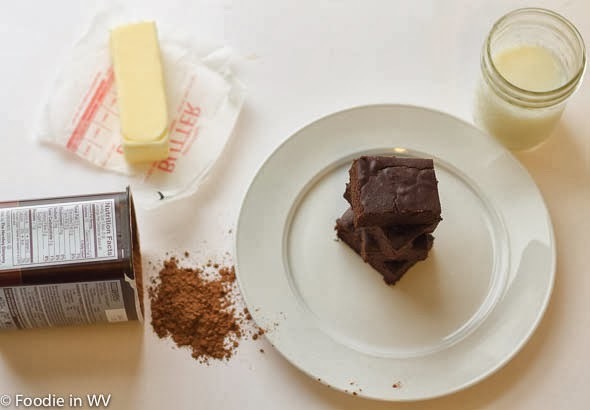 I love that the brownies have black beans instead of butter, it really cuts down on the fat. The total recipe only has 3 tablespoons of canola oil, which could also be substituted for virgin coconut oil or even applesauce depending on your dietary needs. For the recipe go to Black Bean Brownies. black beans in brownies? wow...interesting, and they look really delish! i didnt realize how big of a home-schooling community we have here. ten years ago, you never heard anything about it, but now i do. in fact, my neighbor home schools her son. The black beans make the brownies more like fudge, which is really yummy! I love the add of black beans in this decadent chocolate treat. They look divine, Ann. Thanks :) They are really good! The beans are used instead of flour. 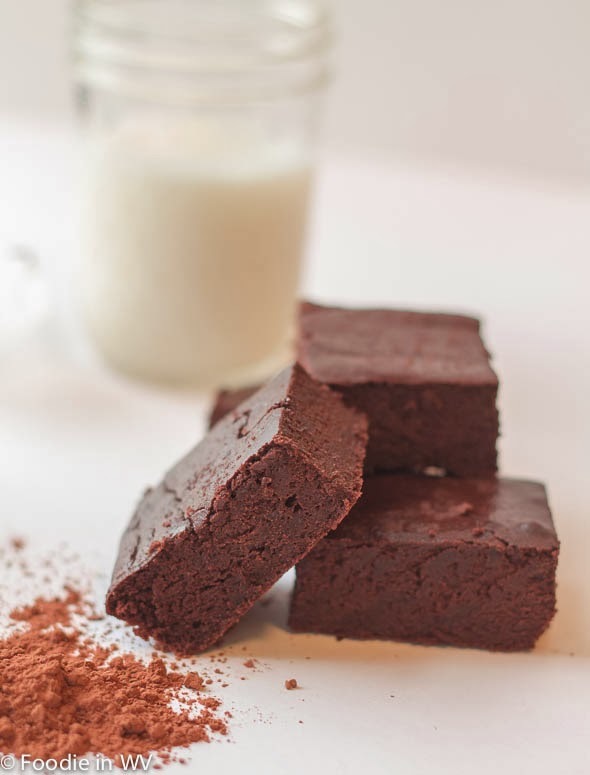 It makes for a very fluffy and almost fudge like brownie, they are so good!!! My little one flipped out when we did his kindergarten screening. He refused to do anything they asked him to do and would not do the hearing test at all. I am surprised they actually let him in lol. hahaha, can you imagine the looks you'd get? It'd be fun. Okay.. pay no attention to me, I'm procrastinating getting to work, hence being very silly. I'm sorry you felt judged. I've felt judged over decisions with the kids too (deciding to hold my Kindergartner back a year (he JUST turned 5 when school started last year) was one, but I'm glad I made that decision. He's thriving this year. I almost held my oldest back, his birthday was in April and I wasn't sure if he would be ready. It's hard with boys since girls are so much better about sitting still etc at a younger age. This look so good! Black beans are quite a different brownie ingredient. Don't listen to those other parents and do your own thing when it comes to your kids. Personally, I don't get the whole pre-k thing. We never had it and did just fine in school. 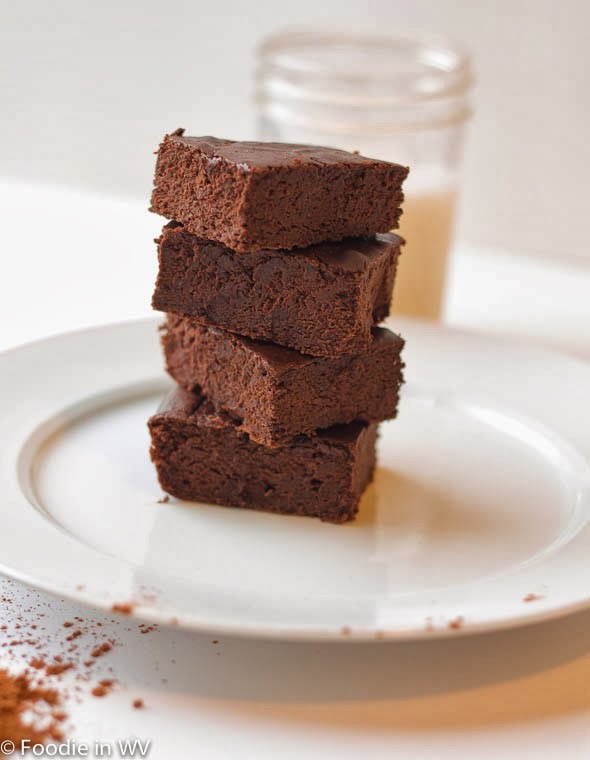 I've heard about these brownies and they do look good - I should give them a try! They really are yummy, my kids and I loved them!! !